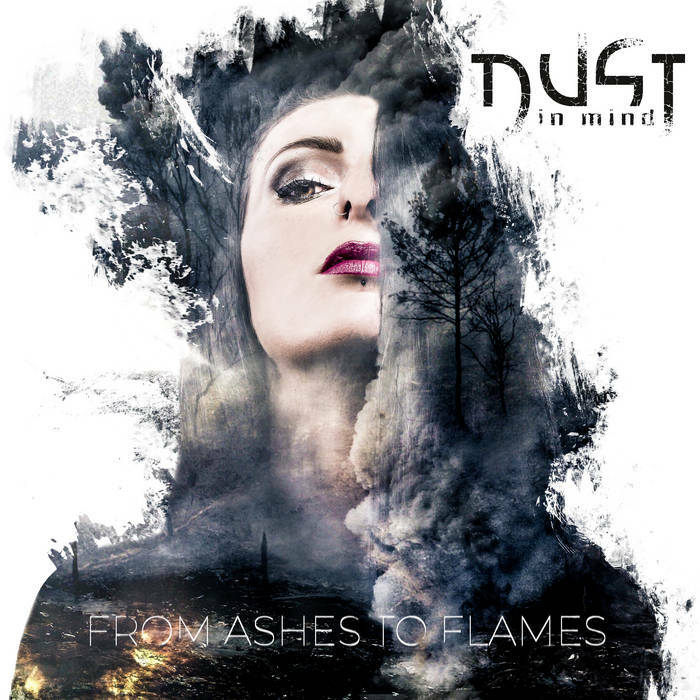 NEW DUST IN MIND ALBUM & VIDEO OUT NOW!!! The pulse is rising, flames are blazing: Pure adrenaline flows through the veins und the metal, DUST IN MIND use to infuse their grooving melodies and heavy riffs, sparks. Society faces its end, a rough breeze blows – in the words of DUST IN MIND, “This Is The End”. The musicians from France release the ideal Soundtrack: Like a fenix rising from the ashes, the Frenchmen shake off the dust and flood the ear canals with modern metal and present their new album: “From Ashes To Flames”! Electronic sounds and industrial influences, allowing the comparison to PAIN, going deep under the skin and combining with sharp guitars to a groovy cocktail, that almost tends to explode because of the energy and dynamics DUST IN MIND put into their songs. “From Ashes To Flames“ thrills your nerves in a special kind of way – passionate, wild, hard and without any compromises. Brachial growls meet the sensual vocals of a strong power woman – a mixture, as good as scene idols like ARCH ENEMY with whom the group already shared the stage. DUST IN MIND face the fears of mankind and lead the listener straight through its doom into a new world. They do not close their eyes towards the problems of the society today: Their songs deal with emotional ups and downs and do not exclude important issues like the protection of environment. Without raising a warning finger, DUST IN MIND wrap their messages into exciting hooks and catchy melodies: Already the opener „From Ashes To Flames” charts a clear course with its laid-back drums and low guitars, the singers’ voices join the memorable rhythm – a song with hit potential, just like the following “This Is The End”. The punchy sound à la KORN on „Open Your Eyes”, the smooth and spherical “Grandma”: DUST IN MIND turn the whole scene upside down and light a fire you cannot quench no more! A truly hot and melodic ride that makes the sparks fly rapidly! And of course, enjoy, like, comment and share their new music video "From Ashes To Flames"!